FREE SHIPPING. USA ORDERS ONLY. NO INTERNATIONAL ORDERS. 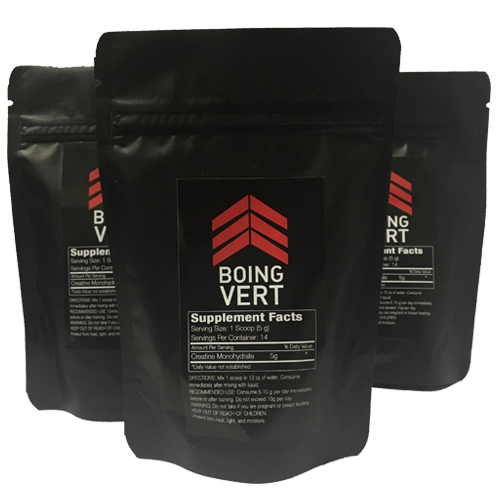 Creatine is scientifically proven to help increase vertical jumping. Click here to read more about the effects of creatine supplementation. SIMPLY MIX WITH 12 to 16 OZ OF WATER, DRINK RIGHT AWAY. *Safe USA based creatine source. WARNING: Do not take if you are pregnant or breast feeding. KEEP OUT OF REACH OF CHILDREN.